​The Drop-In Center offers Wireless Internet, TV, outside games, fellowship with others with the same addiction or mental health problems. The BoMar Club is my home away from home. When I first came into recovery I was full of fear about where I would go for recovery in this county. Then someone suggested the BoMar Club. I walked in the doors not knowing what to expect, and what I found was a family. The people are willing to do anything for me at any time. They are always there to offer support, friendship, and love beyond belief. 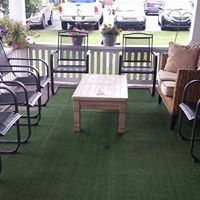 The BoMar Club has helped with my recovery by offering meetings that keep me on track and fellowship that allows me to be myself in a setting that makes me comfortable. Without BoMar and all the people there, I wouldn't be where I am at today. I have 4 years clean. 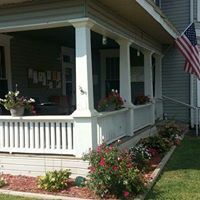 It's a great place of recovery and a home away from home to those wanting to continue their recovery. The BoMar is unlike any other place I have been. They have become my extended family. There is always someone there who can steer me in the right direction. They helped save my life. I am truly blessed to have a place like the BoMar to go to. I look forward to going to The BoMar Club and seeing some of my new friends every week. I have learned that my recovery is my responsibility and that there are people here to help. I need to hang with the winners and stay away from the losers. It is good to know that there are other people who are like me. I can talk about my problem with people who have the same problem without feeling like I am being judged. 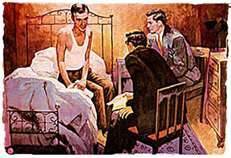 The BoMar Club is a 501(C)(3)non-profit organization formed to help people in recovery from alcoholism and addiction. We are governed by a Board of Directors and rent meeting space to 12 step and recovery groups. 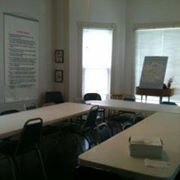 ( Ask about space if you want to start a meeting or rent space for another family oriented event.) We operate with the rent we get from groups, donations, memberships, grants and fundraisers. 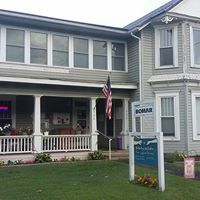 (We accept donations).The BoMar Club was awarded a grant through the ( DHHR-Behavioural Health& Health Facilities) to operate a Drop-In Center.They rent the space and cover expenses for that program. If you need help for yourself or a loved one, come in and see us and we can give you the information you need to get started in recovery. We strive to be a safe place for people in recovery. Last Saturday of the month will be a speaker meeting with fellowship afterward . Closed meeting is for the person who has a desire to stop drinking or using. Open meeting is open to anyone. AA, NA, rent meeting space from The BoMar Club to hold their meetings and are not affiliated with the Club or the Drop-In-Center. Meeting at 12;30, Food and movie at 2:p.m. Foozeball and Shuffleboard. Nutrition group last Thursday of every month. 1:45 and lasts for an hour. Call us for any information or support. and drugs. BoMar is starting out the year on a positive note. We look forward to supporting persons in recovery. The BoMar Club is renting space to 4 AA meetings a week, 3 NA meetings a week, . BoMar was awarded a grant to run a Drop In Center. We offer an NA or Recovery meeting everyday with referrals and resources for person in recovery and their families. We always have coffee and snacks for people and its free, but we do accept donations .Their is always someone to talk with when you need to talk . Come join us the second Friday of every month for Fellowship, Recovery and game day. Meeting starts at 12:30, movie at 2 and games. Shuffle board and Foozeball.